Going to a new city means eating your way through it, if you know what's good for you. And with cheap airfare promising to get you to new pastures with more money to burn, it's likely that you'll have no choice but to shovel tons of food into your mouth while on vacation. 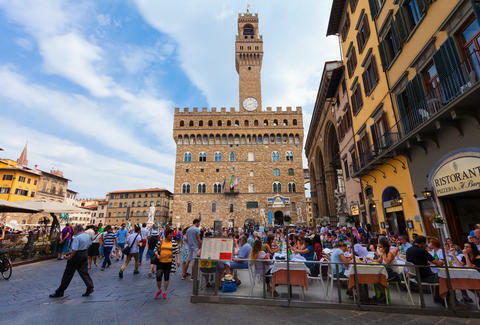 You might already know about some of the underrated culinary gems throughout the world, but in case you live under a rock, TripAdvisor released a new list of the 10 best food cities and tours worldwide. The list was compiled using food tour booking data that TripAdvisor collected from its users and, well, it gives the impression that traditional hotspots are still looking down on smaller cities. You've no doubt heard about the legendary street food in Rome, the tapas in Madrid and the delicious, grid-shaped smorgasbord that is New York City. Unsurprisingly to people who take food seriously, New Orleans makes an appearance on the list, owing to its plethora of options that've likely flown under nose while you booked a trip to Florence.